Would You Go to a Year-Round, Indoor Ice Bar in Lake George? Home > Fun Stuff > A Year-Round, Indoor Ice Bar in Lake George? Sounds Frostily Fantastic! Lake George visitors and residents love flocking to the outdoor ice bars every winter. 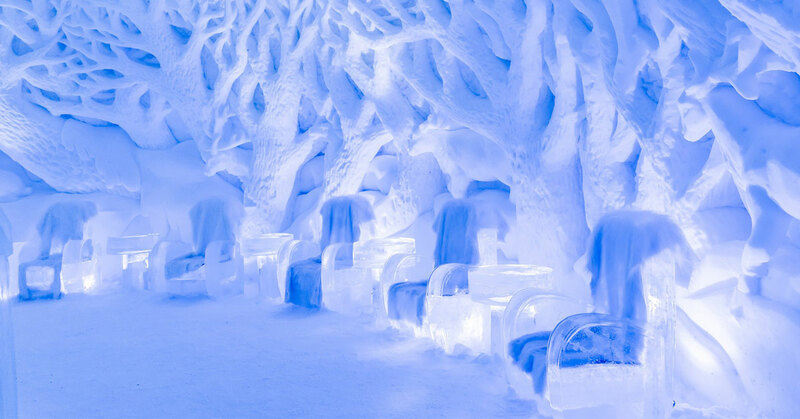 But what if you could chill out at an ice bar during the summer? 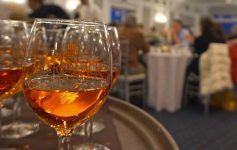 Combine an ice bar visit with a leaf peeping quest in the fall? By the end of this year, you might be able to visit a year-round ice bar right here in Lake George. 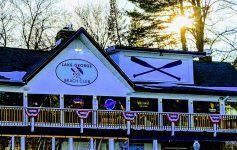 Two local investors, who wish to remain anonymous until a location is purchased and plans are finalized, are currently looking into space for a year-round ice bar in Lake George. We got an exclusive chance to chat with them about why they’re looking to do this, what the challenges are, and what sort of a timeline they’re looking at. The ice bar they’re envisioning would be completely indoors, with all ice furniture, and ice sculptures. Some of the glasses would be made of ice as well. 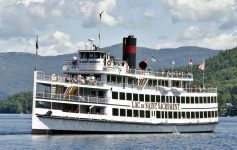 They’re toying with the idea of having a different Lake George theme with the sculptures each year, such as Adirondack wildlife and steamboats. They also plan to have coats, wraps, and blankets available for patrons who need them. The investors have no doubts about the popularity of the year-round ice bar, but there are other challenges that come along with this sort of business that they’ll need to tackle. To prepare, they’re doing extensive research and talking with other year-round ice bar owners. Factors like the outside temperature, the number of people inside the bar, and even the heat cell phones can generate are all potential issues to take into consideration with a year-round ice bar. Icebar Orlando in Florida is the largest permanent ice bar in the world, so it can certainly be done in warm weather. However, investor ‘Jane Smith’ explained that it’s humidity that can be more of a factor than the heat itself, and there’s no lack of humidity in the Lake George region. This can be somewhat combated by keeping the temperature between 20 and 23 degrees at all times. “In the winter, there will be many days when it will be warmer in the ice bar than outside!” Smith told us, laughing. When it comes to body heat and heat from cell phones, the investors are hoping to avoid these issues by keeping the ice bar pretty small so there aren’t a ton of people in the establishment at any given time, and are considering reservations to avoid long wait times. Another challenge with year-round ice bars is what you can serve. While alcohol has a lower freezing point than other liquids, garnishes like lemons and limes will freeze. Salt on the rim of a margarita would melt an ice glass. Soda cans would explode. Fruit juices would turn to slush over time. Beer would likely need to be stored outside the bar. If all goes according to plan, the ice bar will open this upcoming winter in November or December. The investors would like to get their feet wet — or should we say frosty — by operating the ice bar in winter as they prepare for the challenges summer weather will bring. *April Fools! There’s no year-round ice bar coming to Lake George – yet.